Consumer hardware such as new smartphones inspires major rise in Huawei profits. Chinese telecom giant Huawei has released its report for 2018, revealing a major growth in income over the past twelve months. The report states that its profits were up 25 per cent in 2018, hitting $8.84 billion. The biggest performer for the company, however, wasn’t its networking business but instead consumer hardware such as its new smartphones. The company reported overall revenue of $107.4 billion last year, almost 20 per cent up, compared to the year before. Consumer business has seen a 45 per cent increase, hitting $52 billion. Carrier business brought in $43.8 billion, a 1.3 per cent fall, while enterprise services earned it roughly $11 billion. Most of its sales (52 per cent) came from China, with Europe, Middle East and the Asia Pacific Region raking in the majority of what’s left. The American region has seen relative growth, but lags behind others. Huawei has been caught in the crossfire in the trade war between China and the US. The US has accused Huawei of potentially cooperating with the Chinese government and helping it spy on its western adversaries through its 5G infrastructure. 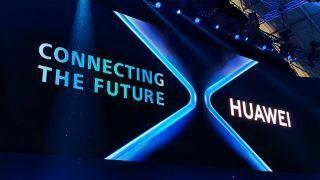 It arrested the company CFO over allegations of fraud and urged its allies not to allow Huawei to build their 5G network. The European Union did not heed the warning, but said it would keep a closer eye on Chinese tech companies. Every member state will have to decide for itself on this issue.